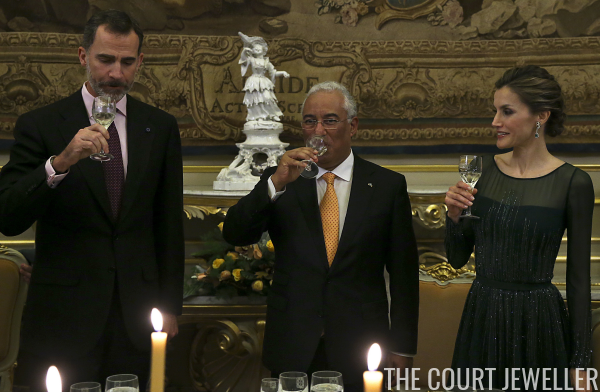 The Spanish state visit to Portugal continued on Tuesday with engagements in Porto and a glittering gala in Lisbon. 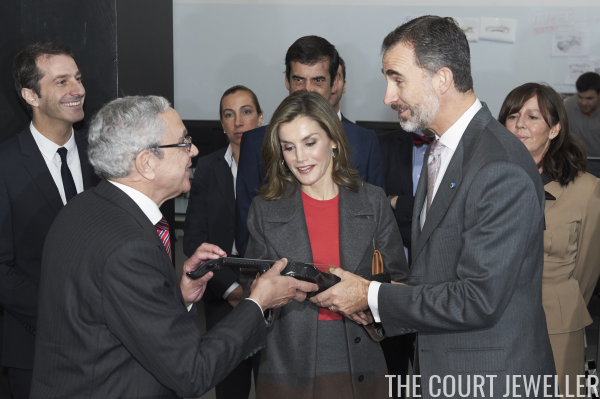 King Felipe and Queen Letizia visited the Science and Technology Park at Porto University in the morning. Letizia wore Hugo Boss separates and accessorized with new hammered gold hoop earrings from Bimba y Lola. Here's a better look at the whole outfit. In the evening, the royal couple attended a gala dinner in Lisbon. Letizia wore a pair of diamond and emerald earrings that belong to her mother-in-law, Queen Sofia. 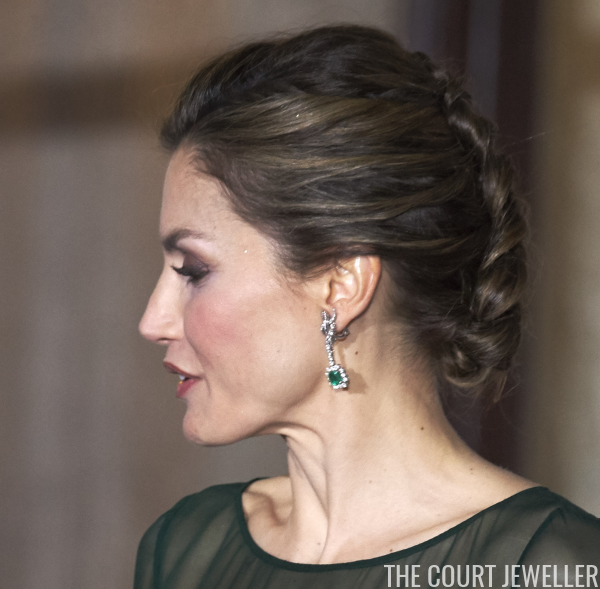 Letizia has borrowed these earrings, which are part of a larger suite of jewels, on other occasions. From this angle, you can see a bit of the earring clasp, as well as Letizia's interesting hairstyle. And here's a fuller look at the sparkling dress, which is by Felipe Varela.